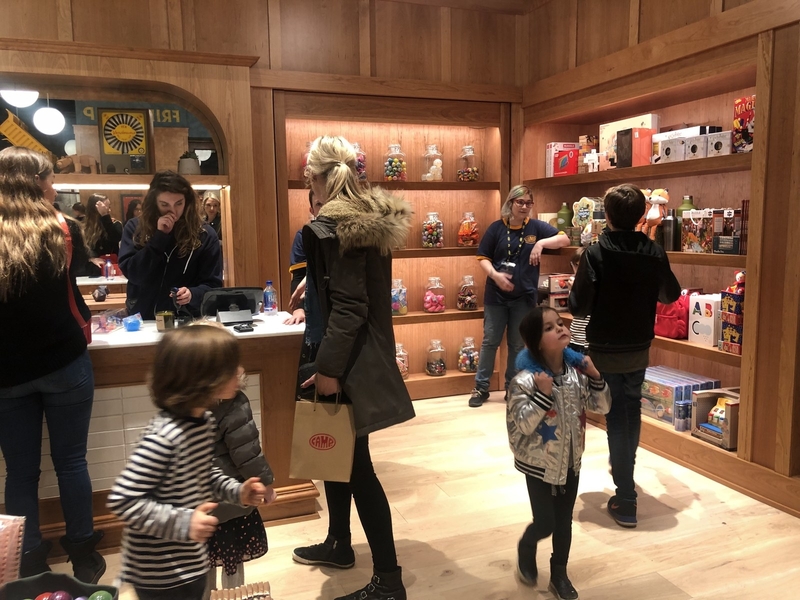 Bet you've never been to a store like this before. If you have tiny humans in your life, listen up. 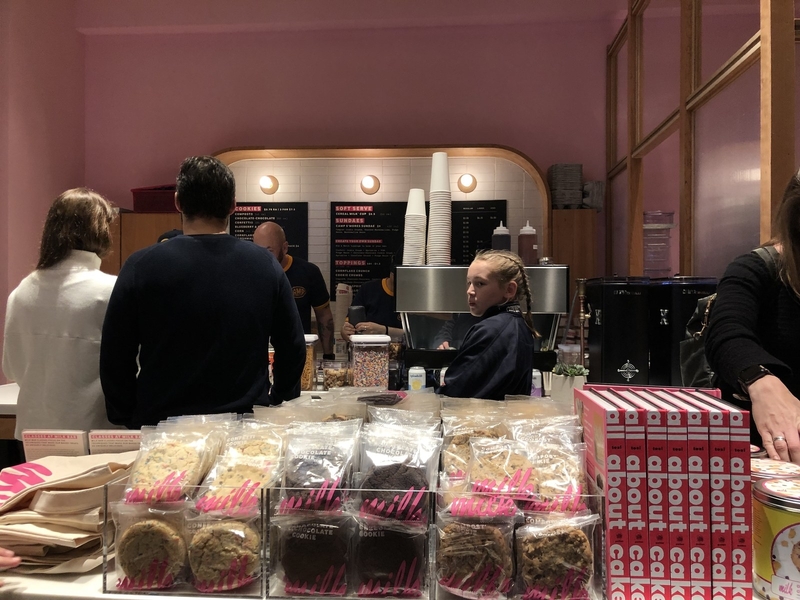 A new store just opened in NYC and it's going to blow their tiny minds. This is CAMP. 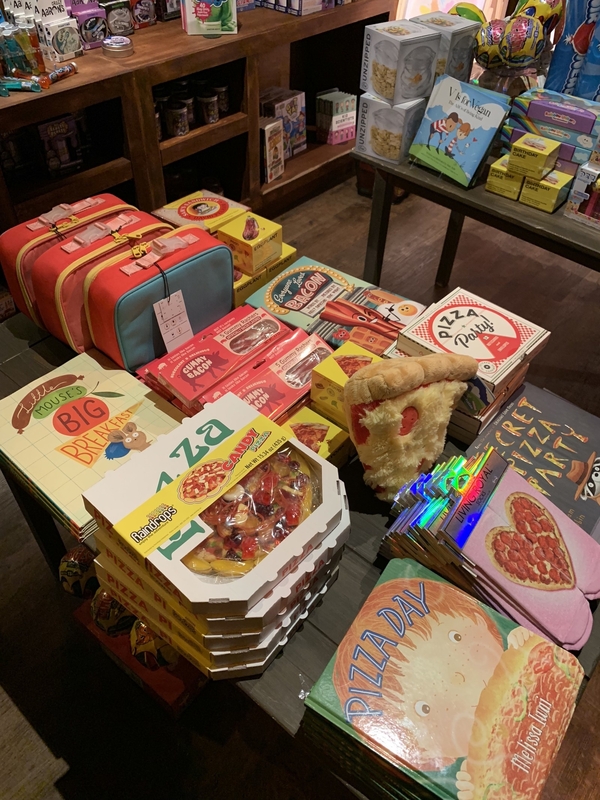 It's set up like an old-fashioned general store filled with quirky gifts and well-curated kids' products. Doesn't it look cute? 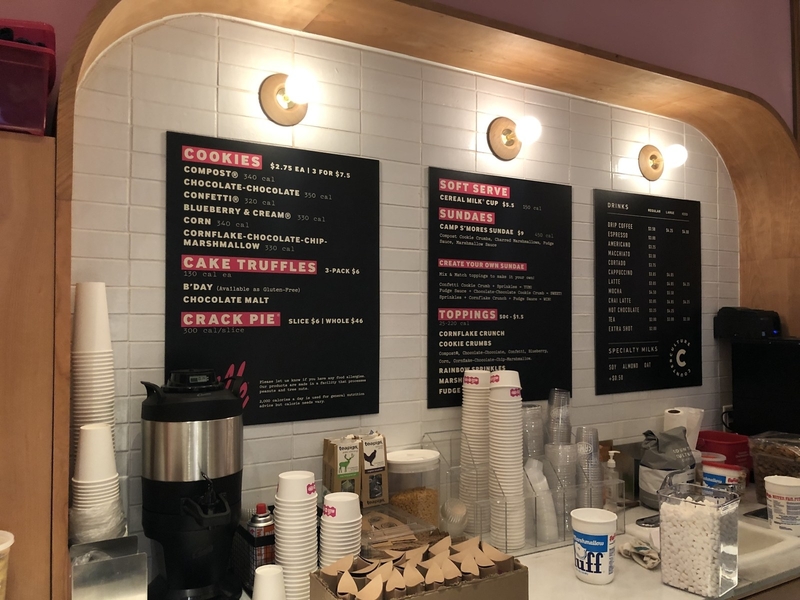 It's located in the Flatiron District at 110 5th Avenue, New York. 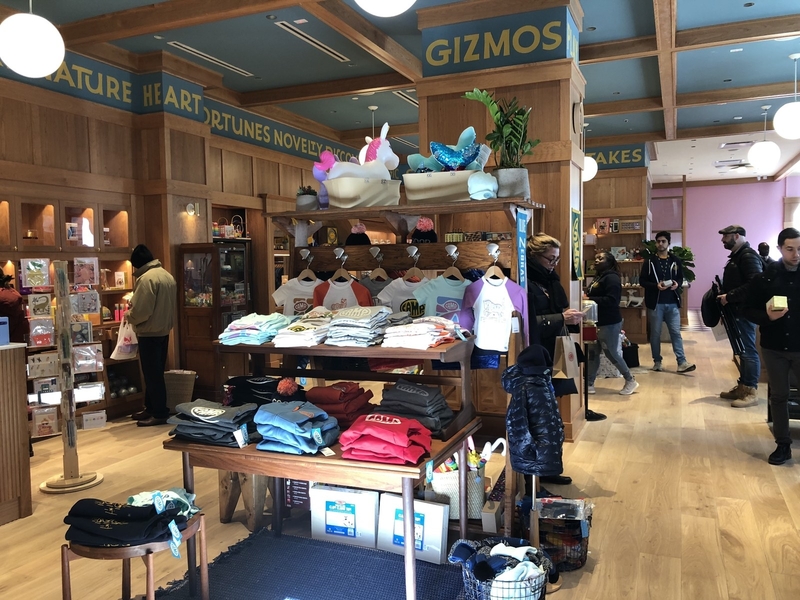 This is currently the only store, but plans are already underway to expand across the US. I know, I know, you're all like, "It looks...nice, but it's not exactly mind-blowing." Well, might I interest you in...A SECRET DOOR?!! Hear that? It's your inner seven year old screaming. 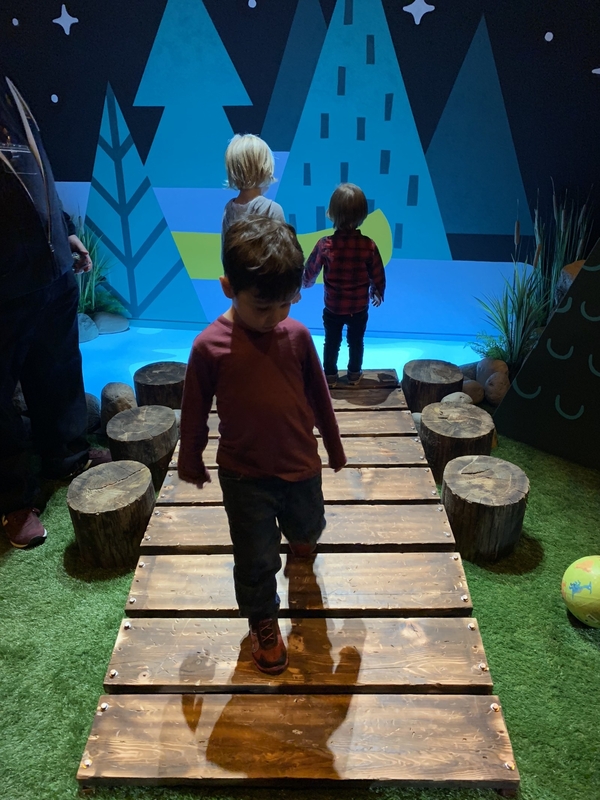 After entering through the door you follow a ~magical path~ to the CAMP experience space. 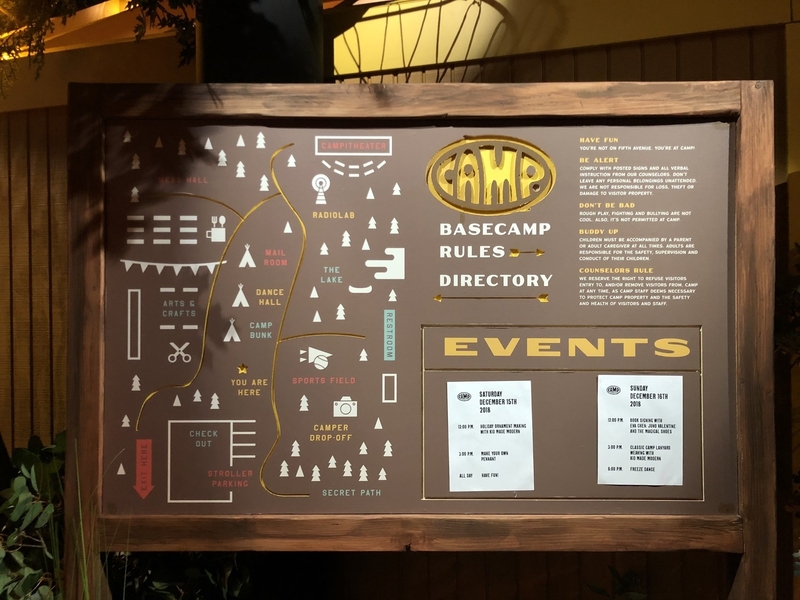 This area, currently called "Base Camp", will have a new theme that rotates every 8–12 weeks. The current theme is inspired by, well, camp. The boards are actually keys that play different notes when you step on them! 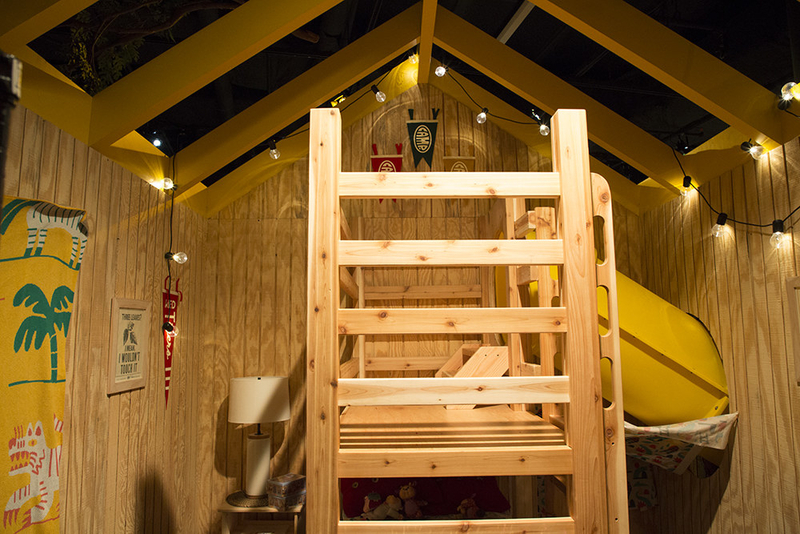 ...and climb up the bunk bed that's not just a bunk bed—it's a slide! This is what childhood dreams are made of. 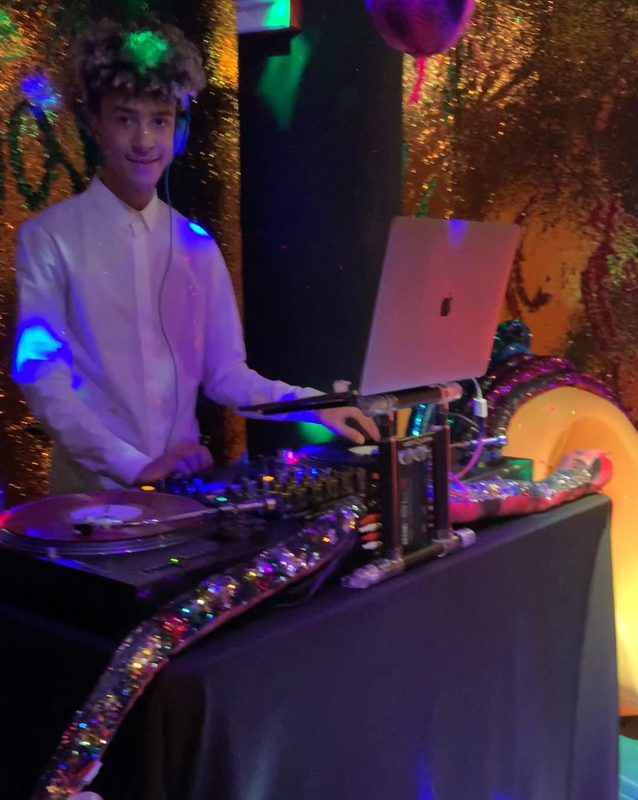 The slide leads to a disco room with a light-up dance floor, sequin-covered walls, and a live DJ (!!!). And this kid who is a far better dancer than I'll ever be. 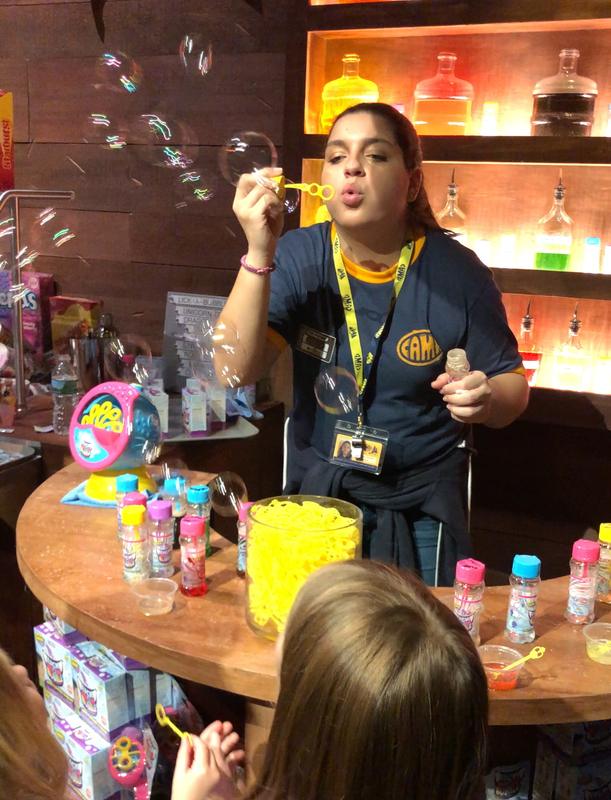 CAMP also runs activities daily, including arts and crafts workshops where kids can try their hands at everything from merit badge embroidery to New Year's resolution writing. And parents are invited too – each ticket includes admission for one grown-up. Check the activity schedule for details. The "Campitheater" will hold regular events, such as sing-a-longs and improv shows. 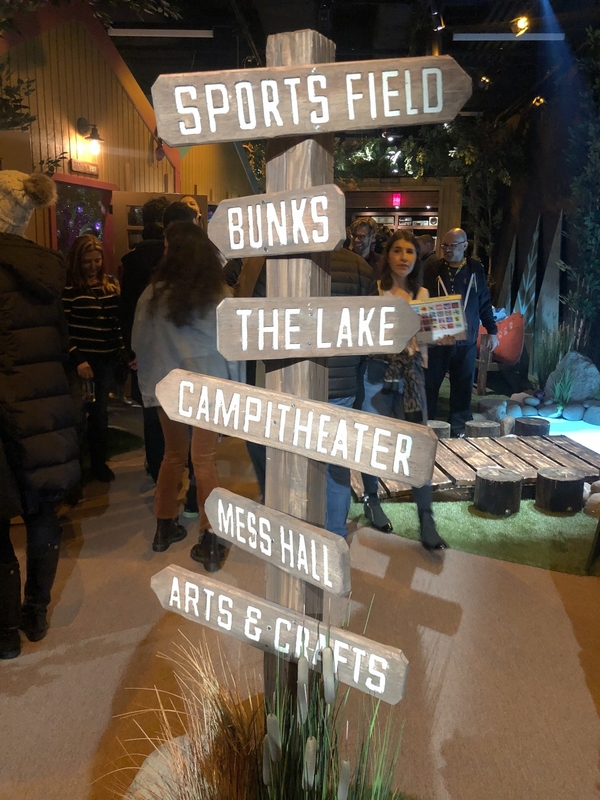 In front of a real (fake) campfire! You can reserve tickets for those too. 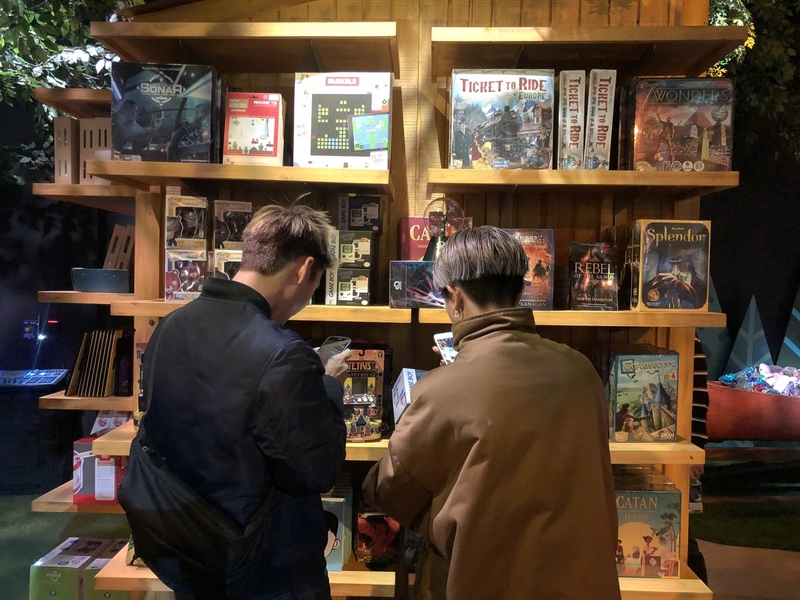 One thing that will remain constant is the massive retail space filled with interesting toys, quirky books, candy, and plenty of other things you didn't realize you needed. Like this edible bubble kit you can flavor with anything you want! Fruit, candy, and, when the kids go to bed, alcohol. 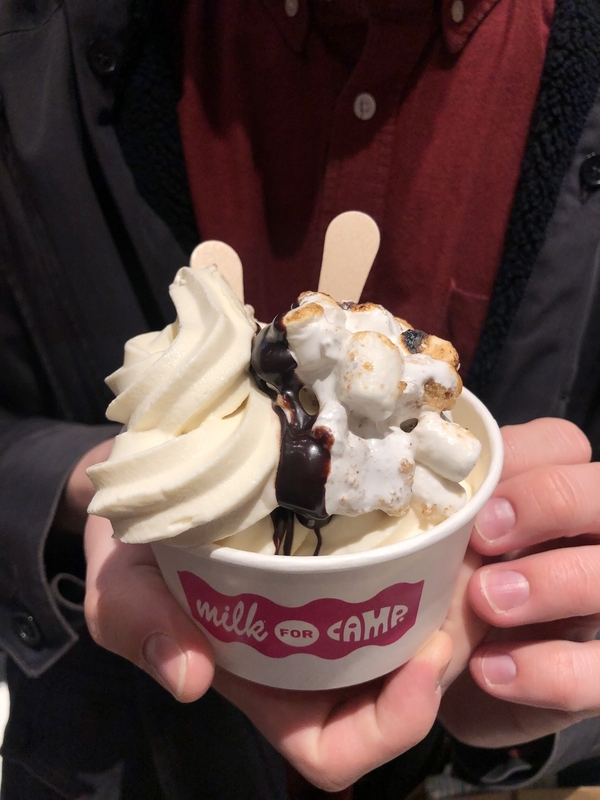 Oh, and one of the best parts: There's a Momofuku Milk Bar serving coffee, crowd favorites like Crack Pie, and a special CAMP-themed s'mores sundae. 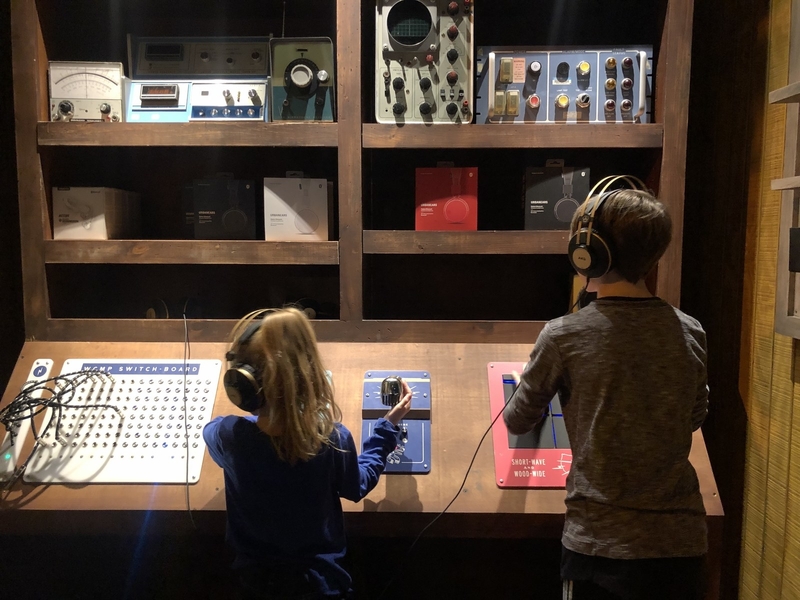 The Base Camp experience at CAMP Flatiron is in session until March 15. Follow CAMP on Instagram for updates. CAMP is brought to you in part by BuzzFeed. Yay us!